ESP Tombstone guitar cases are form fitting to provide the support needed for your ESP Axe. The MH case is fitted to M, MH, H and Horizon body styles and provides a safe haven with an accessory compartment for a cable, tuner or other necessities. 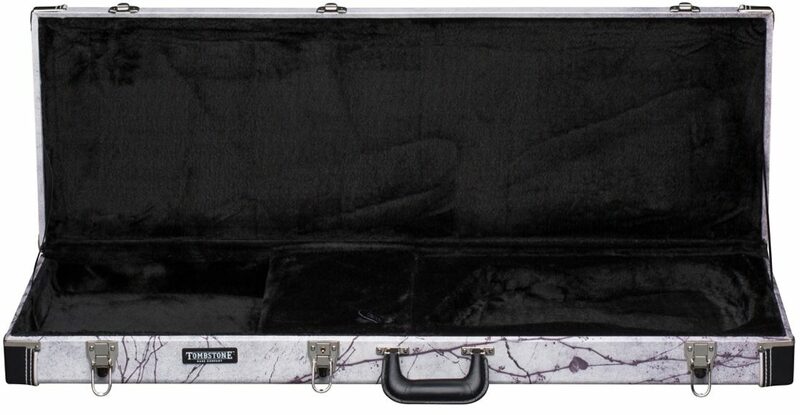 - Compatibility: ESP Tombstone case for M, MH, H and Horizon shaped guitars. Overall: It's a good case. Interior is great. The latches aren't as tight as my Coffin Case, and the "lockup" between the halves isn't as good either, but it gets the job done & looks very cool.